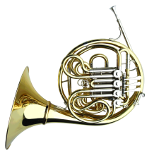 The Paxman full double French Horn is a high end intermediate level instrument. Featuring a Geyer style wrap and high quality finish, this French Horn is the perfect instrument for the aspiring professional. The Horn sounds beautiful and is making playing much more enjoyable. Great Horn for the price. My student loves it.